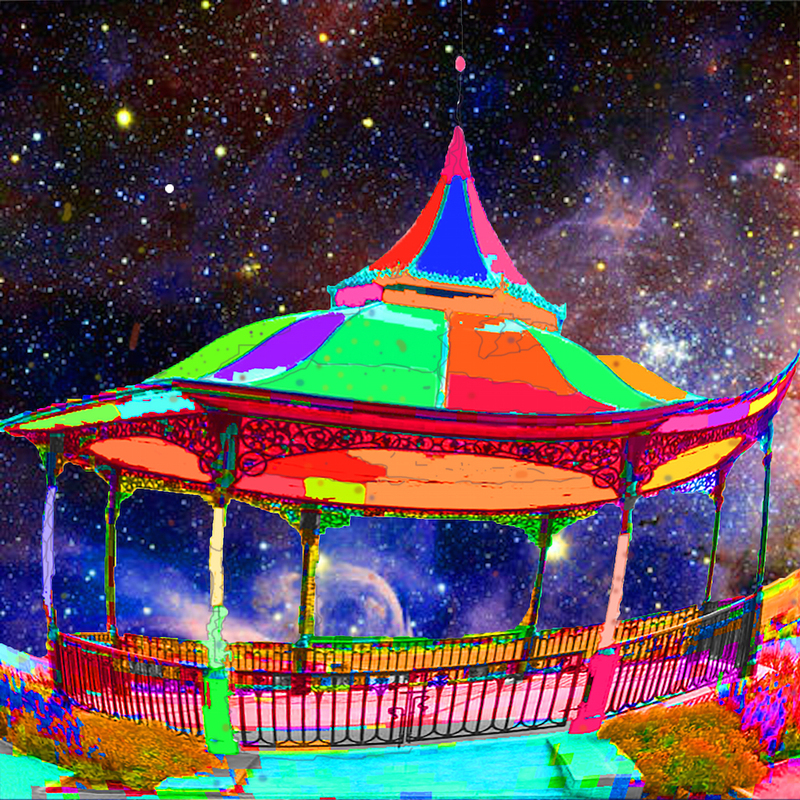 Sun glints off the varnished roof of the bandstand, sending a rainbow of colours showering over the surrounding tiered steps as they climb row upon row high above. Sheltered from the bright light by the bandstand, children in period costumes sit at several small tables sipping tea from bone china cups and nibbling dainty sandwiches. The dull murmur of their conversations mingles with the lazy lapping of the sea around the girders below the pier. Gulls circle overhead cawing to each other. In the distance, a brass band plays a familiar air. Choosing a place midway up the steps, I sit to watch. One by one, then in tight-knit groups, silent people settle on the tiered steps around me, their eyes riveted on the children. There’s a muted sense of excitement in the air to which the players in the pageant continue oblivious. When a man lowers his large frame next to me, I whisper: “What’s happening?” He looks at me blankly, then turns back to watch the children. A foreigner maybe. Or dumb. Or just plain rude. As the silent crowd grows, partially blocking my view, I get to my feet and weave my way between disgruntled spectators till I reach the railing that protects the bandstand. From this close I get a clear view of the intricate lace-trimmed costumes the boys and girls wear. One of the children stands and raises a long tube to her lips. 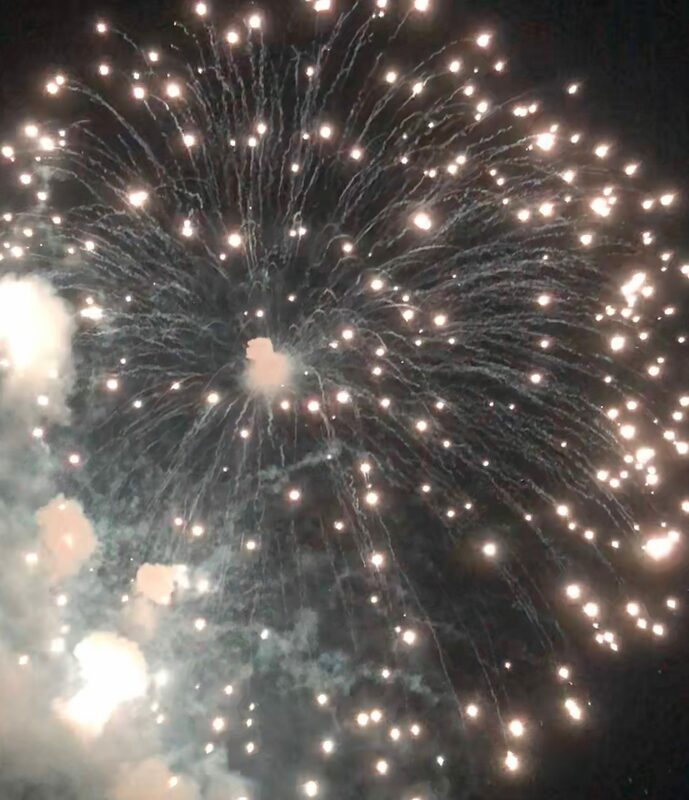 Her cheeks puff out and she blows, causing a glowing white ball of glass to swell at its raised end. The crowd bursts into applause, sending alarmed gulls rising into the air, cawing in complaint. The scene merits a photo. In a panic, I fumble through my cloth sack in search of my camera, but find it nowhere. Could someone have stolen it? The fiery glass ball is now as big as the girl’s head and all the children have risen in salute, their teacups raised. My fingers latch onto something cold and hard in my bag. But when I pull it out, I discover not my camera, but a flat silver tablet encrusted with complex gold markings. At that moment the glass ball explodes showering all in bright light and the world turns white.